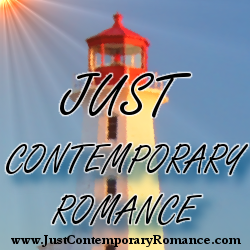 Just Contemporary Romance: Could their forever have been right there the whole time? Could their forever have been right there the whole time? Congratulations to "Mary Y. ", the winner in Jody's giveaway. Thank you to all who participated! Thoughts of a different kind, a not-appropriate-for-a-boss kind, jolted her heart. But then I realized, it does happen all the time, where people see a new side of someone, something they hadn’t recognized or noticed before. (This sentence just had the Beauty & the Beast song popping into my head.) It’s how the forever best friends become more. How enemies become friends. It’s how even after twenty-five years of friendship with my own best friend, I only recently learned that she loves Root Beer. There are always pockets of unknown. Once that switch is flicked, there’s no going back. He was the haughty king to her innocent princess. There was no way something between them could work. But the sensations trickling over his skin, just from a casual touch, said otherwise. Adam and Megan came into each other’s lives at a very specific time and both filled a very specific role or position for one another. It’s interesting to me, this idea that we can be with someone and not truly know them until we learn to look in a new way. I also think it’s important and healthy in relationships to be able to explore things you hadn’t considered before. Over time, we change and evolve and sometimes what we thought would never work for us, becomes the exact thing we desperately need. He didn’t know how to be without her, and that thought froze the air in his lungs. This story is about taking chances and trusting your heart to tell you when the time is right, when the person is right. Part of their happy ending is the choices they make, the way they lead their lives, but there’s also a strong element of meant to be for them. Another time or place, they wouldn’t have fit, but right now, in this story, they’re a perfect match. It just takes them some time to realize it. Sliding his hand to the back of her head, he sank his fingers into her hair, his chest so tight he couldn’t breathe. He didn’t care. Searching her gaze, he found what he always did—what he knew he didn’t deserve—acceptance. She wasn’t just Charlie’s constant. She was his as well. 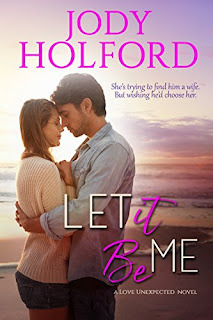 Hi Jody, sounds like great book (and now I have that Beauty and the Beast song in my head lol), I'm going to add this to my list! Thanks so much! I just watched the movie- again! I didn't know this was a nanny romance! Im so glad I stopped buy to read the description. I'm going to pick it up right away! I've known co-workers who've worked together for a long time and never saw each other in a romantic light until one day it just occurred to them that person was the one for them. Thanks for sharing about Let It Be Me! Thanks for sharing your book, sounds like an interesting story. A nanny romance isn't one I've read often. Sounds like a wonderful read. I downloaded a sample!